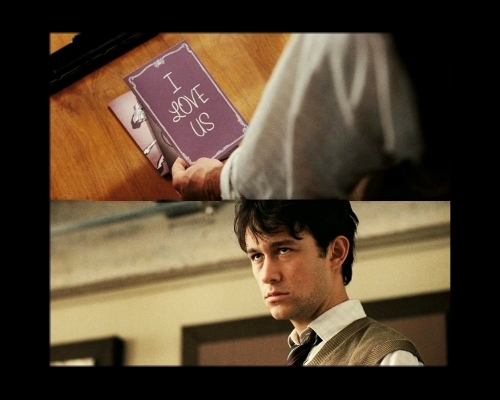 The Look. . Wallpaper and background images in the 500 Days of Summer club tagged: 500 days of summer joseph gordon-levitt tom i love us. This 500 Days of Summer fan art contains business suit. There might also be sign, poster, text, chalkboard, well dressed person, suit, pants suit, and pantsuit.